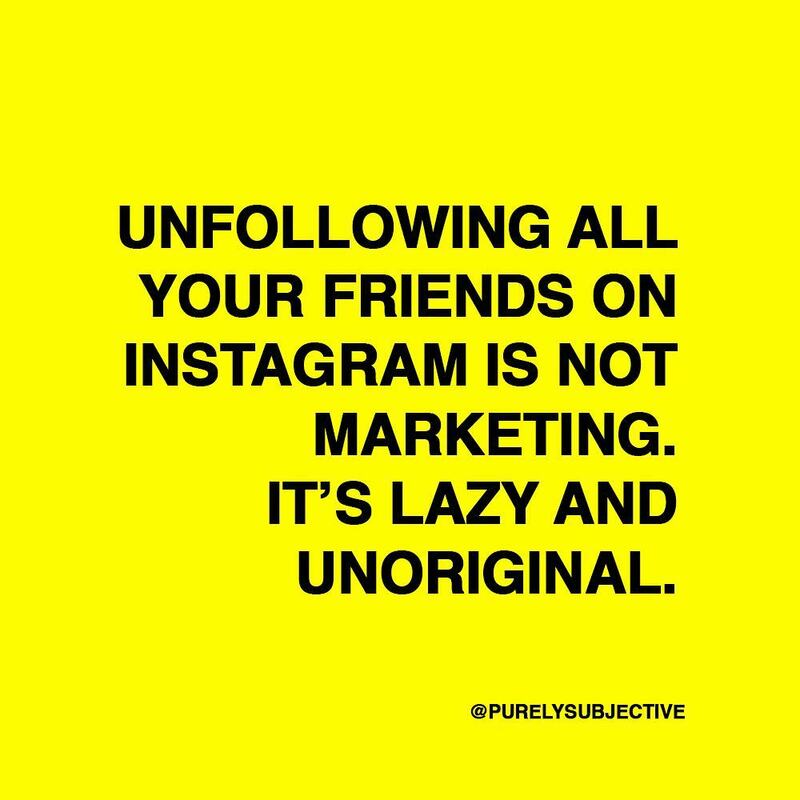 Purely Subjective .001 — Unfollowing all your friends on Instagram is not marketing. 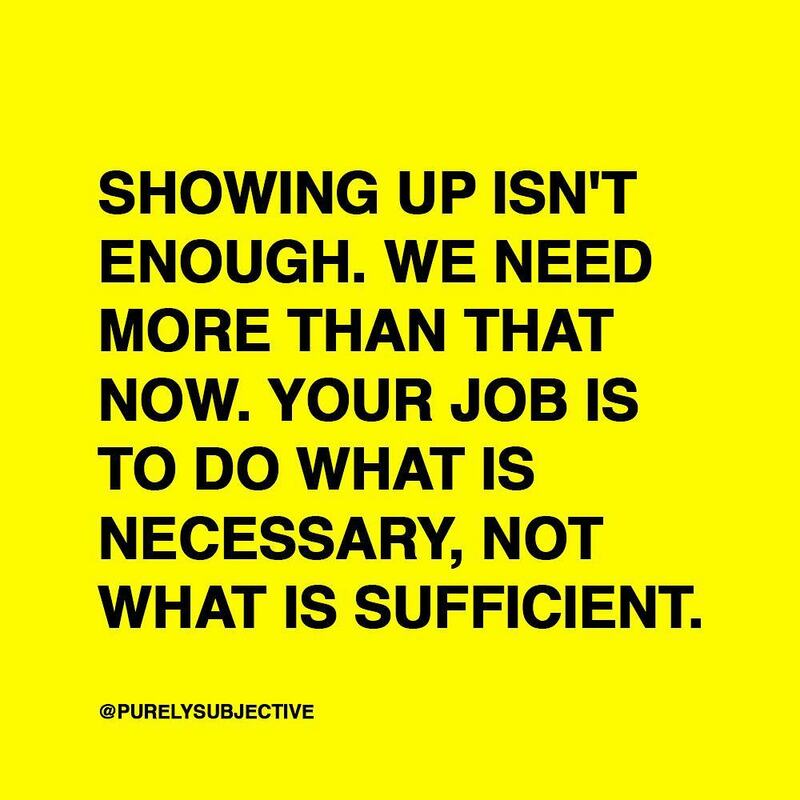 Showing up isn’t enough. We need more than that now. Your job is to do what is necessary, not what is sufficient. Unfollowing all your friends on Instagram is not marketing. It’s lazy and unoriginal. Deleting everything off your timeline in-advance of a project rollout is tired and uninspired. Instagram is important, but not everything. Recent complaints about an algorithm gone awry show that people feel more entitled to engagement than they do delivering a product worth consuming. There is no fool-proof get engagement quick scheme. Who needs followers when you have community? Revamp your strategy. Focus less on trying to make a big splash and more on learning how to tread water, consistently. Going viral: Adele “what’s good?” 88rising really gets it. Mutually assured destruction: Hip-Hop can’t afford it’s very own #MeToo moment…even though it’s long overdue. R. Kelly’s pedophilia and predatory behavior has never been a secret. There has never been a lack of proof or testimonials. People chose not to look. No one cared enough about the victims. The impoverished and disenfranchised are not the ideal candidates of empathy when you hold your own misgivings. The children that were victimized became sacrifices in exchange for musical genius. Predators in music cloak themselves in executive roles weaved into the fabric of culture. Pulling at the seams of transgressions will expose everybody, and this industry isn’t ready to be naked or crippled, yet. Move over IG stories, Youtube “Reels” is a thing, and might a problem as Youtube reluctantly finds ways to adopt vertical video. Twitch is here to stay, for now. Digital editorial continues to wane; Buzzfeed experiences deep cuts while one of the most prominent digital media investors has pulled out leaving entities like Mashable, Mic, Maker Studios and Bustle Digital Group in murky water. Long-form, well-produced, user-generated video content is the future, and Facebook Watch quietly surpassing 400m active viewers shows they are leading the charge. Get this newsletter in your inbox, semi-regularly. Subscribe here. Follow along on Instagram: @PurelySubjective. 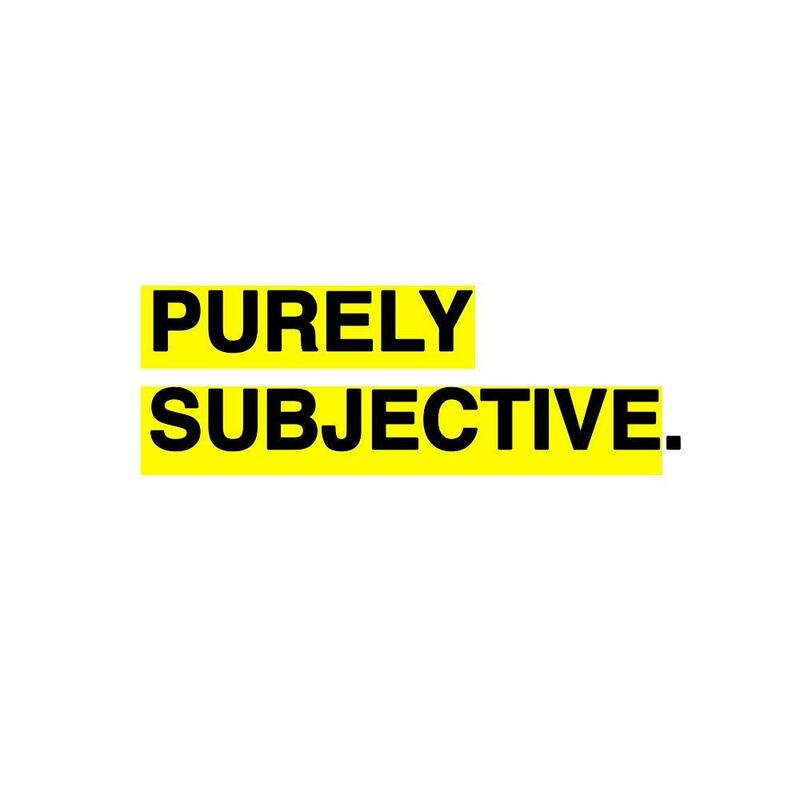 Next Post Purely Subjective .002 - Influencer marketing is dead. #Ad is a turnoff.